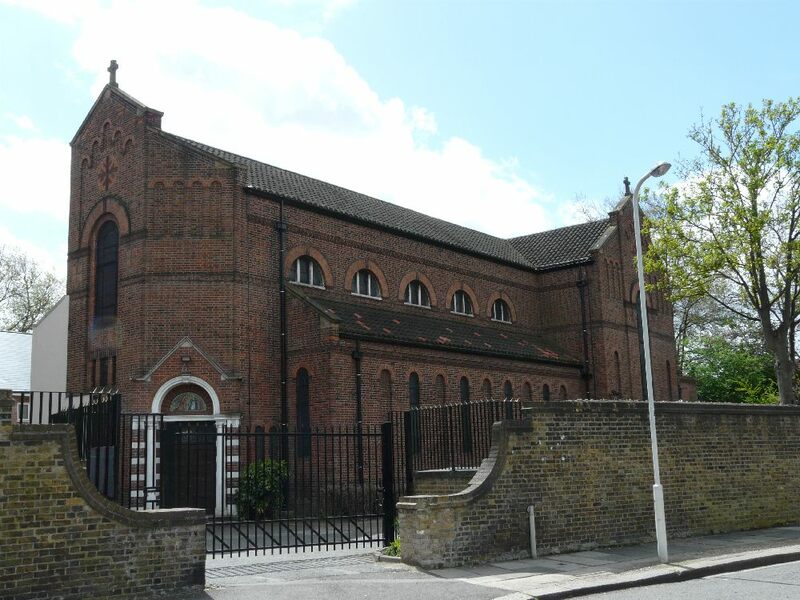 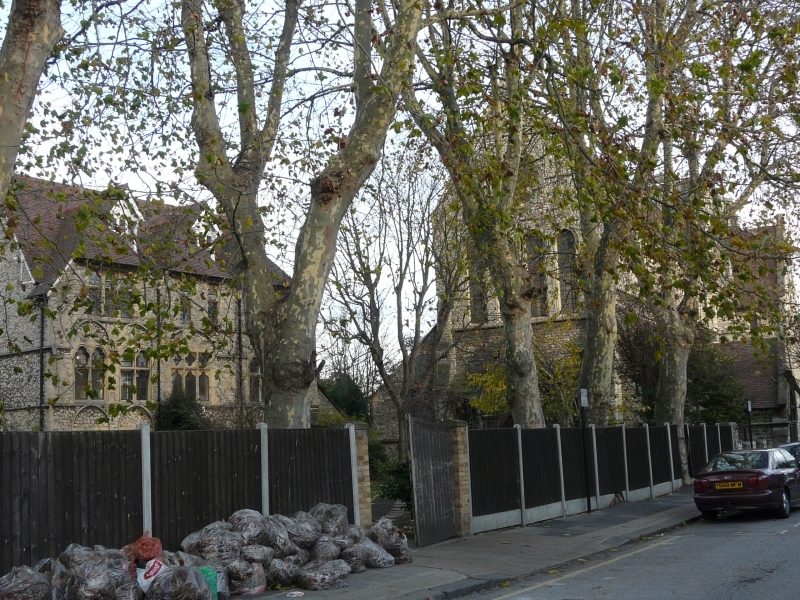 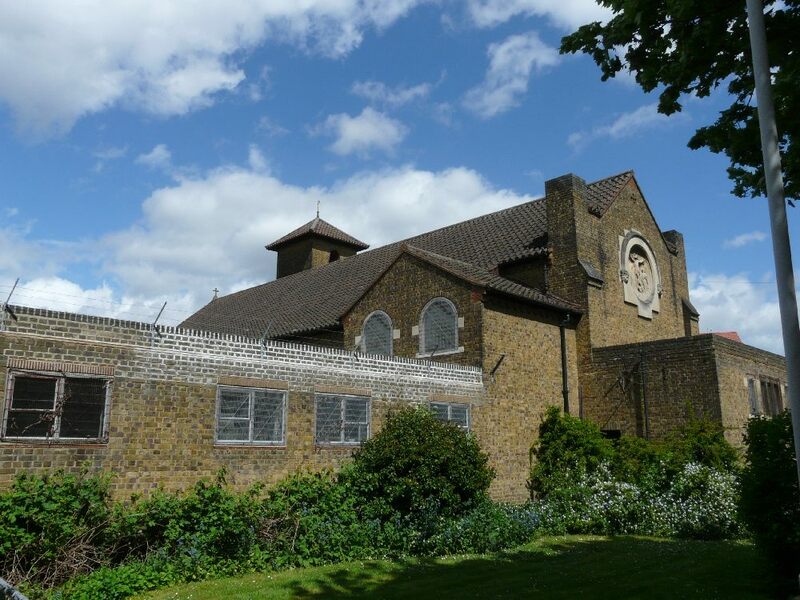 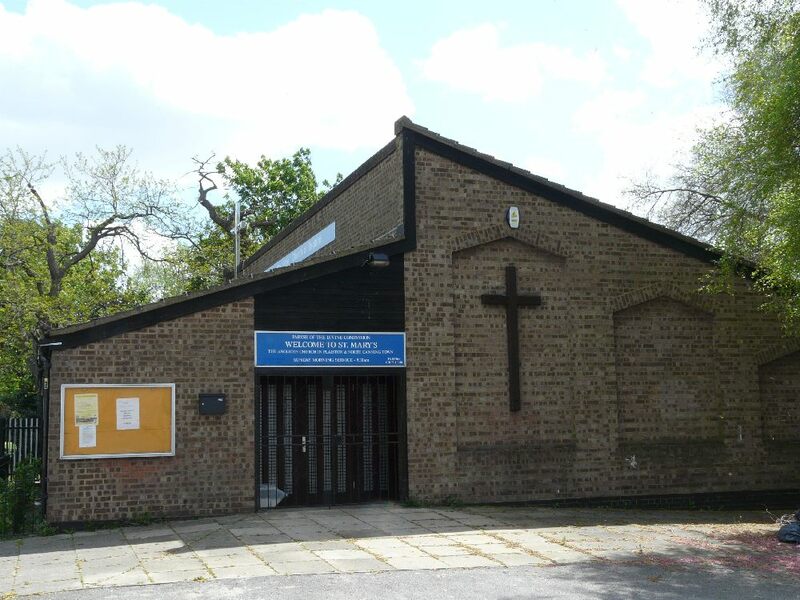 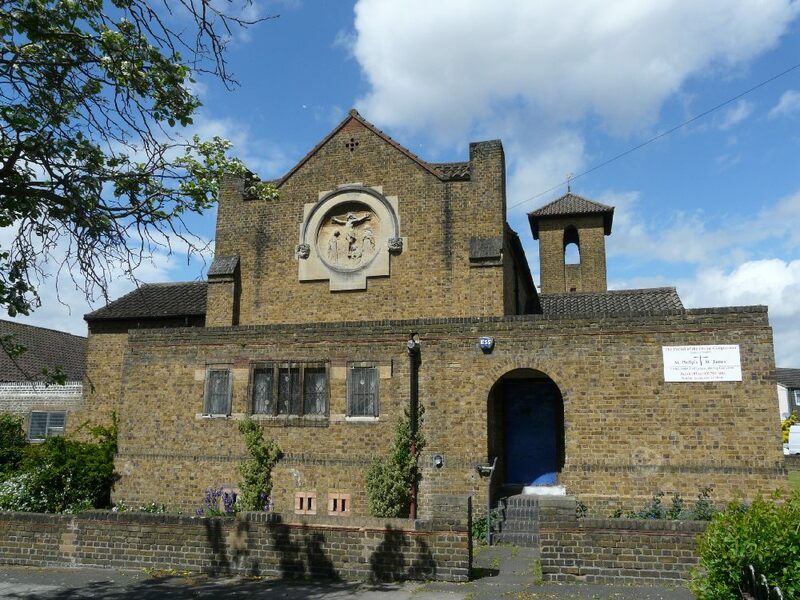 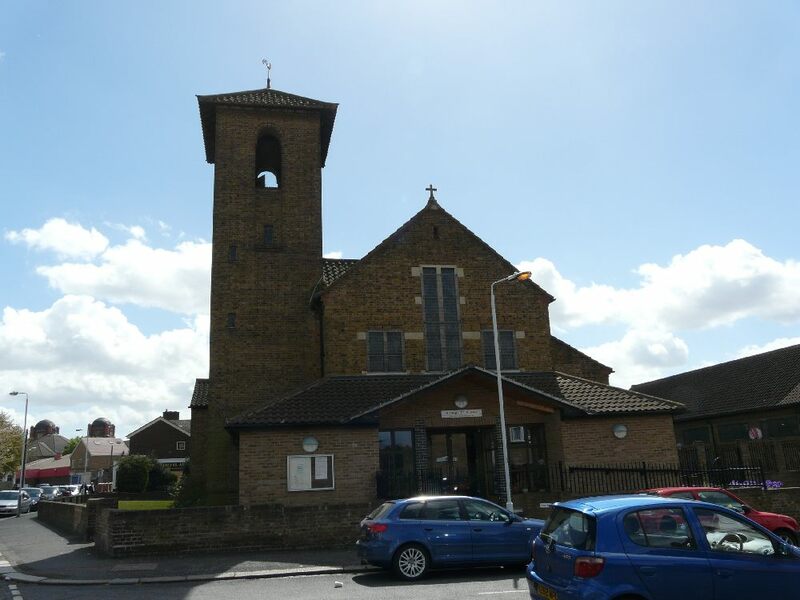 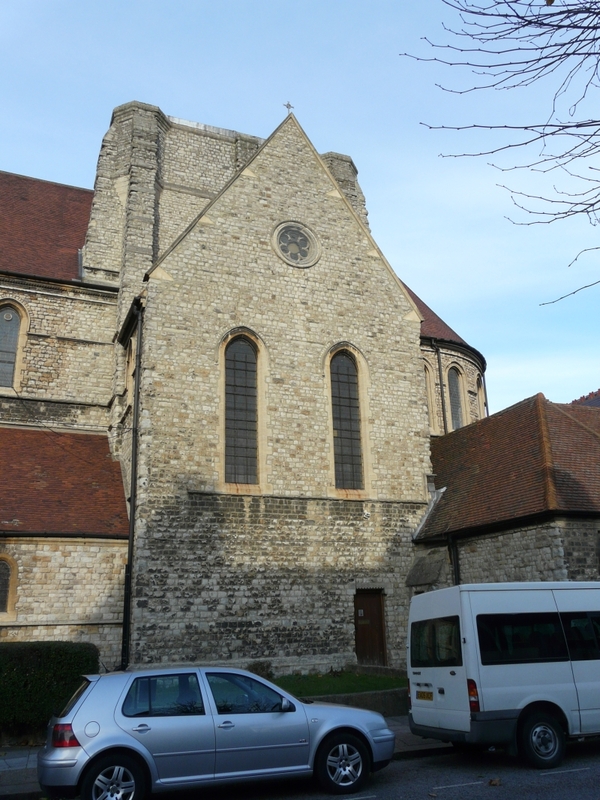 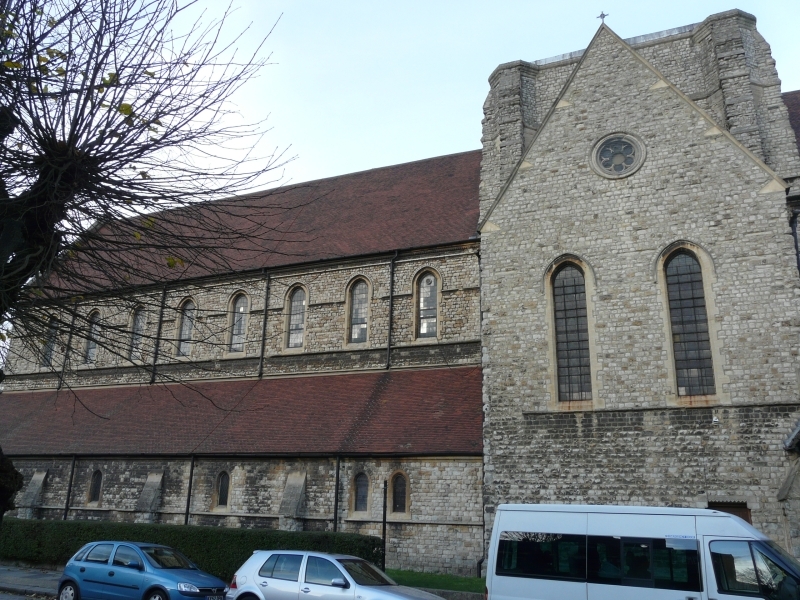 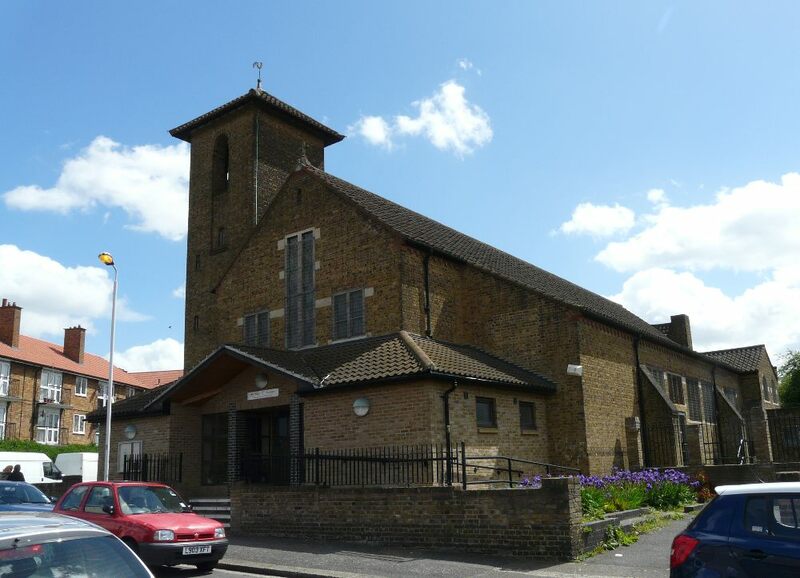 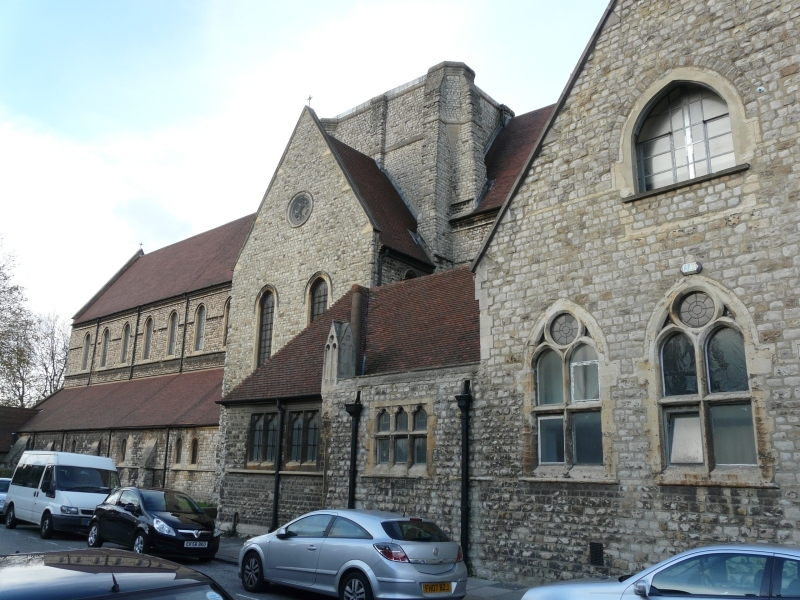 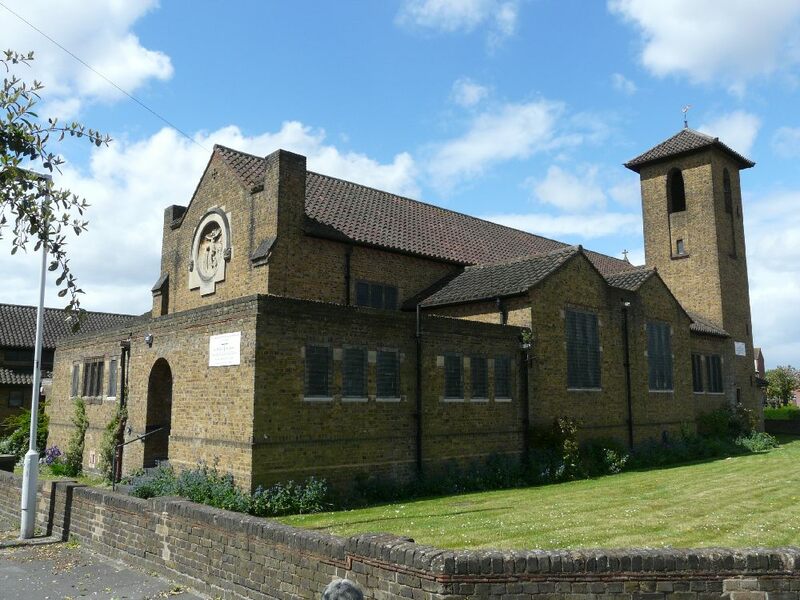 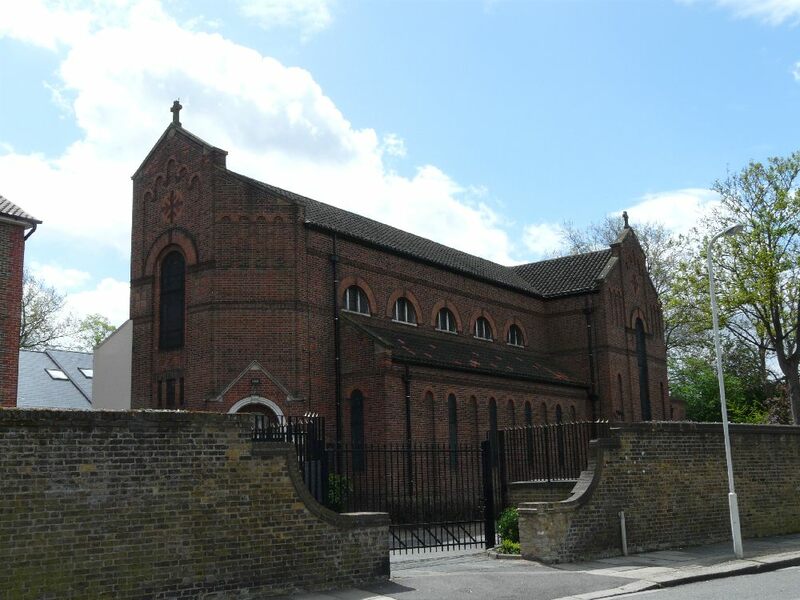 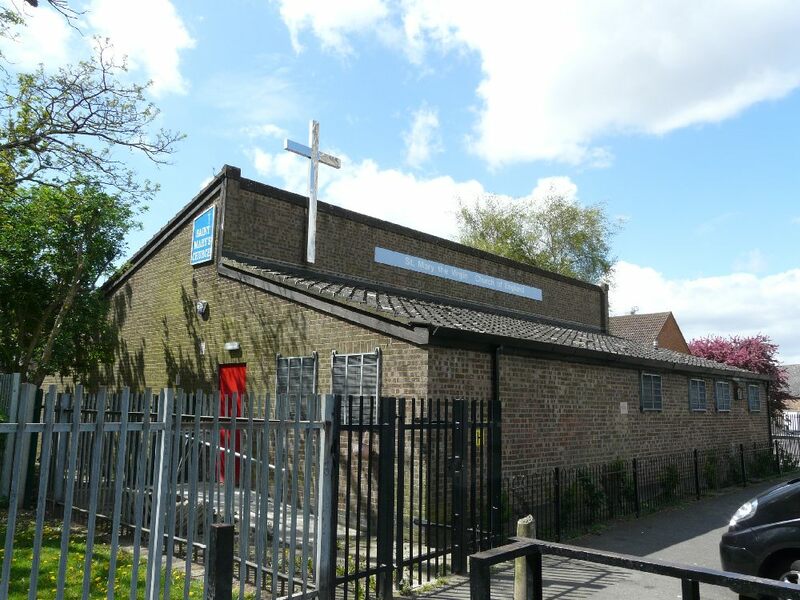 The chapel was built 1929-31 by W.C. Mangan, it is hidden away in back streets between Plaistow and Canning Town..
From 1954-55 by J. Harold Gibbons, in an area of housing just north of Barking Road. 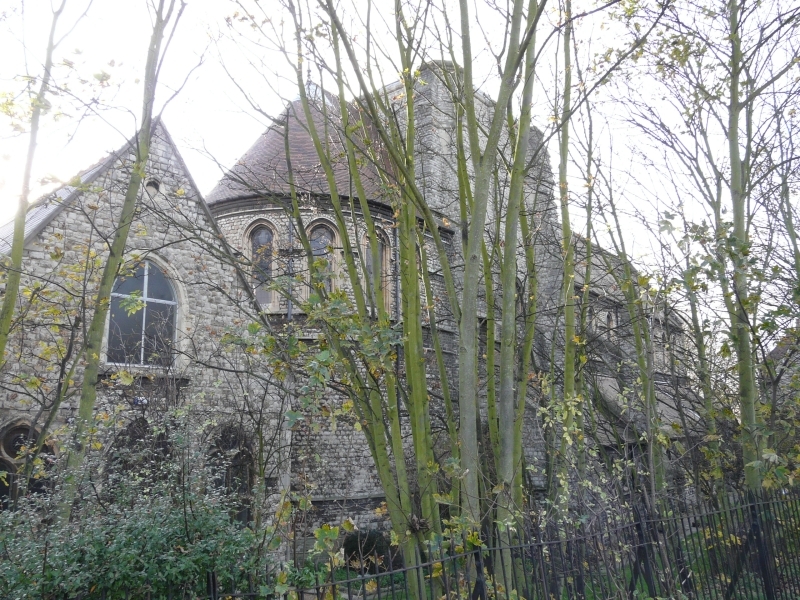 A rather grim looking church of 1981 hidden in a corner of the churchyard of a demolished late nineteenth century church. 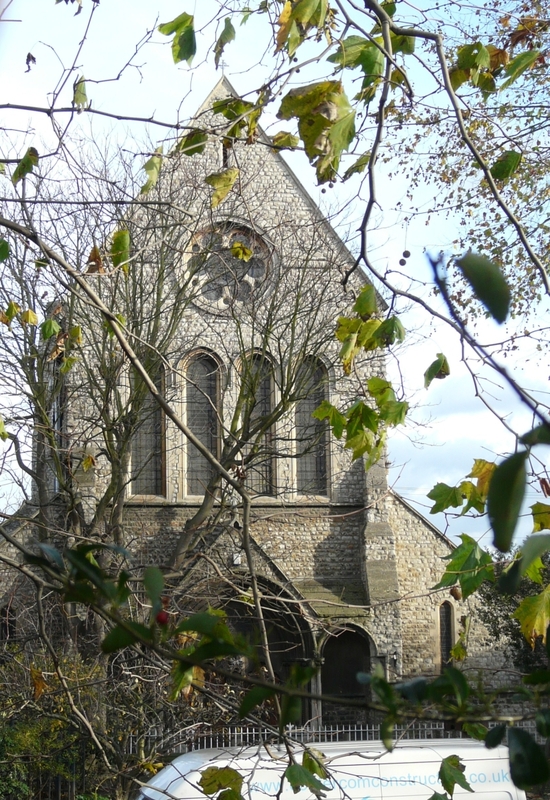 A James Brooks church of 1868-70. 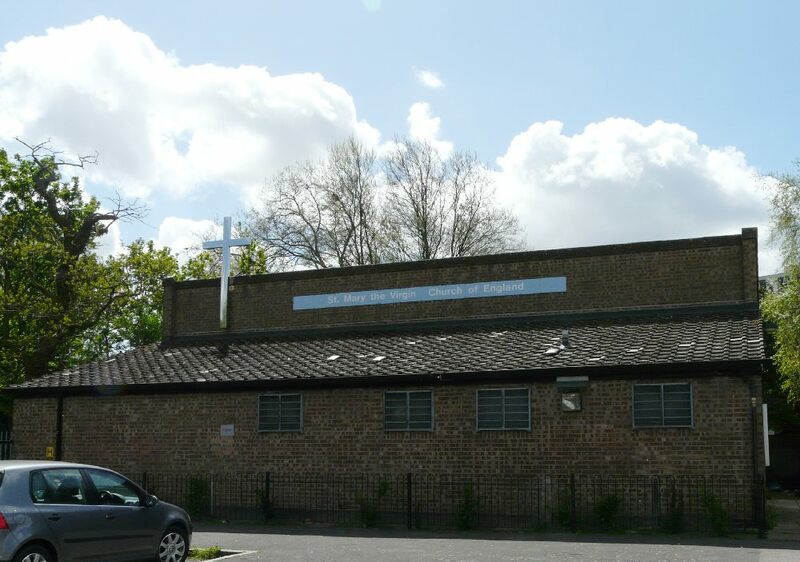 Now used by the Brazillian cult church Universal Church of the Kingdom of God.